Xante, a bit thinner, returned on Wednesday to the PG newsroom. Xante is a dog who is loved by many people who thought they would never, ever see him again. How do you say "welcome back" to such a dog? The homecoming is "bittersweet," said Joan Ardisson, who raised Xante (pronounced ZAN-tee) to be a service dog for The Seeing Eye Inc. She's delighted to have him back but disappointed that he couldn't do the job he was bred for by the Morristown, N.J.-based organization, leading a blind person to a life of dignity and independence. 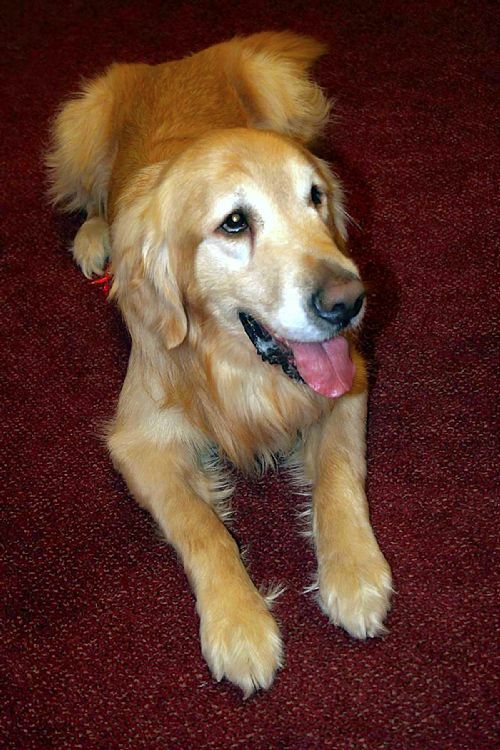 The golden retriever underwent months of vigorous training and passed all of his tests, but a minor health problem derailed his career as a Seeing Eye dog. In November he was diagnosed with clogged tear ducts in both eyes. Surgery was performed, and for six weeks it seemed that Xante would be OK. But then it was determined the tear duct in his right eye is too narrow and impedes proper drainage. That is a chronic condition that the Seeing Eye does not want a blind person to have to deal with. Xante was a fuzzy 11-week-old baby when he debuted on the PG Puppy Cam in February 2010. We said goodbye on June 30, 2011, and he headed to New Jersey. On Monday, Ms. Ardisson and her husband, Bill, drove back to New Jersey to bring him home. "I said 'Xante, do you remember me?' 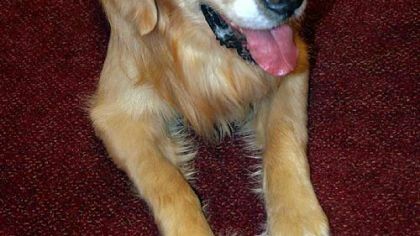 He put his paw on my leg," said Ms. Ardisson, who is assistant to Post-Gazette publisher and editor-in-chief John Robinson Block, a dog lover and dog owner himself. They brought him back to the Ligonier home he shares with golden retrievers Copper and Chance and an English springer spaniel named Hannah. The dogs welcomed and accepted him as if he had never been away. Xante came to work with Ms. Ardisson on Wednesday, and my Post-Gazette colleagues were unabashedly thrilled to see him again. Xante wagged happily as he greeted each of the "co-workers." He had special greetings for three of his favorites. "The first person he saw when we got here was Joe Fekete from maintenance. I had to drop the leash so Xante could run up and greet him," Ms. Ardisson said. Pet Tales appears weekly in the Saturday Home & Garden section. Linda Wilson Fuoco: lfuoco@post-gazette.com or 412-263-3064.